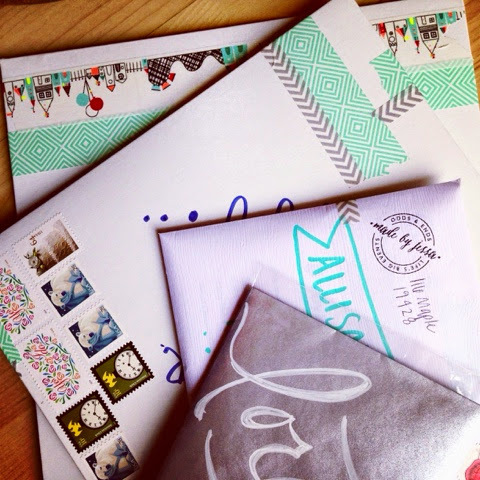 one of my favorite things is sending and receiving snail mail. sometimes i think i keep the post office in business by myself. hopefully the recipient is smiling when they see mail from me. so for your holidays this year, let's share the love and make our cards and packages look awesome. why does it feel so good to send out a bunch of pretty packages?